The comedian and MC, Chinedu Paul who was killed after he was mistakenly identifed as a memebr of Badoo, was recognized by one of the people whop burnt himn accoding to his sister named Elizabeth. 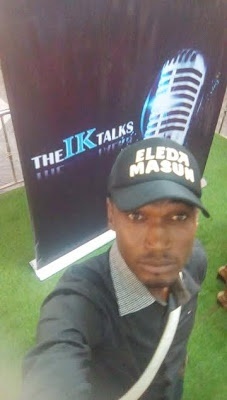 A 26-year-old Master of Ceremony, Chinedu Paul aka Think 2ice, was burnt to death recently by residents of Ikorodu, Lagos after he was mistaken to be a member of feared killer cult, Badoo. Elizabeth is his younger sister and she has revealed that her brother was killed even after someone recognized him. Narrating what happened, Elizabeth revealed Paul, in company with two others; Shola, a rewire, and Sunday, a mechanic were heading to the spot where his newly-acquired second-hand car had broken down the previous day, when they were mistaken to be members of the dreaded cult. This was late at night as the rewire Shola, and the mechanic were coming from Festac. The rewire brought an SUV to tow the car, but they encountered traffic along the way and arrived late, and where stopped and searched by the vigilante group, who saw the chain meant to be used to tow the vehicle and brake oil in the boot of the SUV, and started to raise alarm even after one of their members said he recognized Chinedu. The three of them were burnt alive after things escalated. Chinedu Paul was supporting his mother who is a petty trader and three siblings, Elizabeth, Sunday and Ruth. He also supported his fiancee, Esther, who is still in a state of shock.